Today’s June meet up was Jubilee themed, Sara from our team even made a cake that one would say was ‘fit for the Queen!’ Visit our Facebook Page ‘ME Consultancy Ltd’ to see photos taken at today’s meet up. Once again thank you to all our fantastic MYnetworkers that make these events such a success and of course our MYnetwork partners ‘The Mid Yorkshire Chamber of Commerce’, ‘Ramsdens Solicitors’ and ‘The Media Centre’. 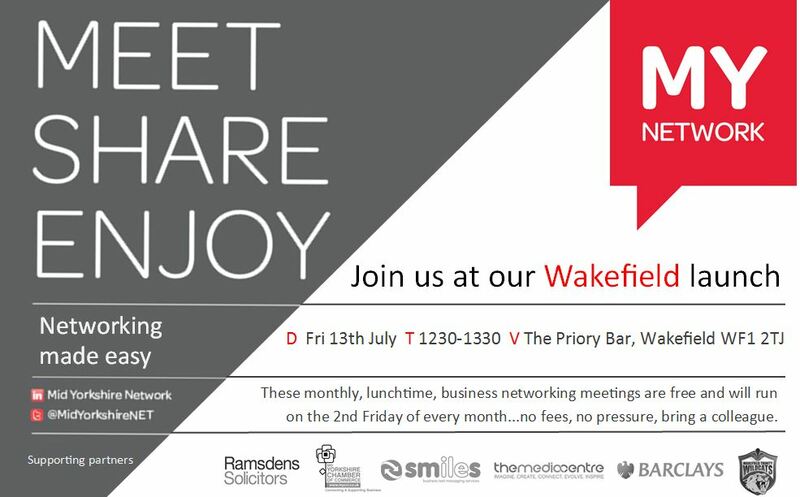 The next MYnetwork event will be our MYnetwork Wakefield launch event which will take place on Friday 13th July at the Priory Bar in Wakefield from 12.30pm – 1.30pm. If you want to find out more about this networking group you can join the Mid Yorkshire Network Linked In Group or Follow @MidYorkshireNET on Twitter. You can also visit The Media Centre website to see a video footage at May’s meet up produced by Simon Bishop from Bish Bash Media. You can see the original copy of the MYnetwork feature on The Huddersfield Examiner website or see page 8 of the digital version of the Kirklees Business News. Thank you to all the members that came along to today’s MYnetwork meet up, there was a great energy in the room thanks to all you enthusiastic networkers. You may have noticed that there were a few photographers at today’s event, we had Anthony from AF Photography Ltd and there was also a photographer recording content for a marketing video for The Media Centre. Visit our Facebook Page to see photos taken at today’s meet up ‘MYnetwork – April’. 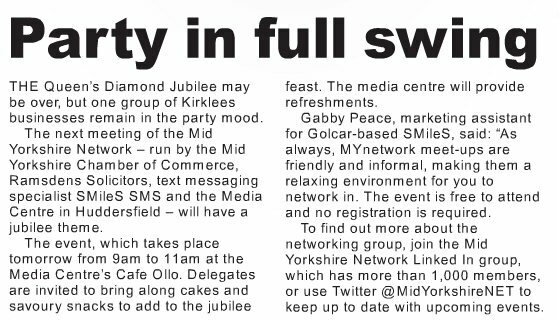 Our next meet up will be on Wednesday 20th June and we will be holding a Jubilee themed meet up; keep your eyes peeled on the Mid Yorkshire Network Linked In group as this is where the details about this meet up will be revealed. This networking group is going from strength to strength it’s attracting new members all the time whilst having fantastic regular mynetworkers who help make the networking group a constant success. In addition to this, the Linked In group now has over 1,000 members who actively participate in online discussions and attend our monthly meet ups and don’t forget you can also follow MYnetwork on Twitter @MidYorkshireNET. Take a look at some of the photos from this month’s MYnetwork meet up held at Cafe Ollo in The Media Centre. MYnetwork is a friendly, informal networking event held every 3rd Wednesday of the month at The Media Centre from 9am-11am. 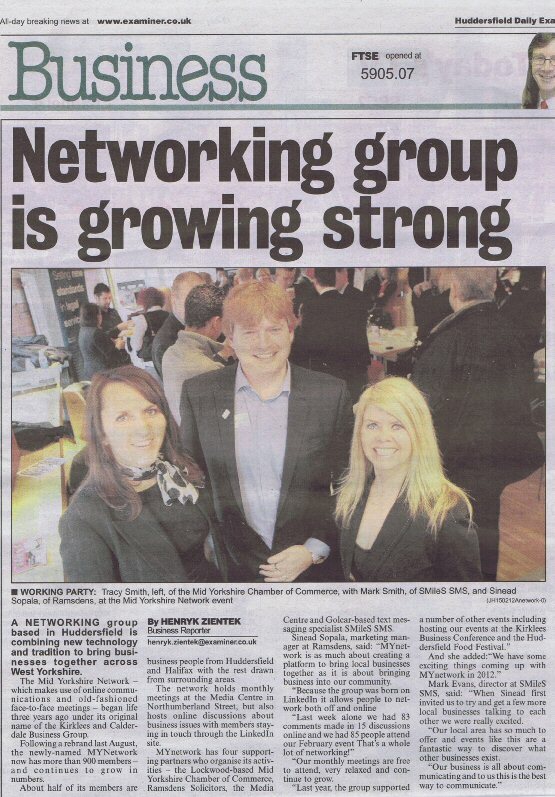 If you want to become a member join the group on Linked In – Mid Yorkshire Network. Visit our Facebook Page ‘ME Consultancy Ltd‘ to look at photo’s taken from previous meet ups and if you do happen to visit please ‘Like’ our page to keep up to date with everything going on at SMileS. Founded in 2008 The Yorkshire Mafia started as a LinkedIn group, Geoff Shepherd and Sat Mann wanted to get Yorkshire businesses trading more with Yorkshire businesses. 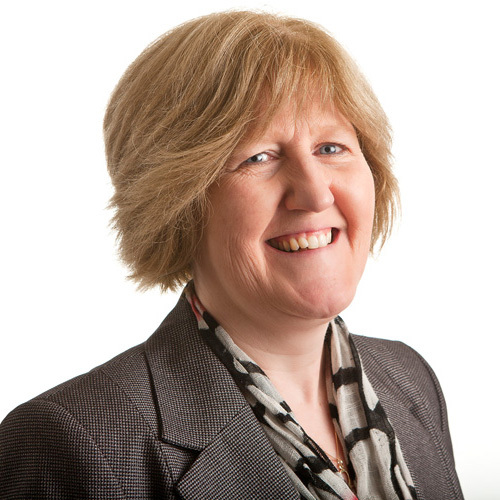 In under two years the group has grown to over 7,000 members, which is quite amazing considering membership is tightly controlled helping make it Yorkshire’s top business membership group. As part of their networking activities the YM has monthly ‘Big Yorkshire Mafia Drinks Evening’ which are held at many different venues in many different areas within Yorkshire, for example past drinks evenings have been held in York and Leeds. Having drinks evenings in a wide variety of areas within Yorkshire allows more businesses within Yorkshire to meet new contacts and potential customers. It also helps encourage the main ethos of the YM which is to help Yorkshire businesses trade with fellow Yorkshire businesses. By arranging these drinks evening they give the Mafiosi a chance to get to know each other and network in a friendly atmosphere with like minded businessmen and women.